[E]bola Viral Disease (EVD) has surfaced in West Africa in an unprecedented outbreak infecting and killing thousands according to the United States Centers for Disease Control and Prevention (CDC). The epicenter appears to be centered between Guinea, Sierra Leone, and Liberia – the former being where the first case was reported, the latter being hit the hardest. Other nations including Senegal, Nigeria, and Mali have had cases reported but were contained and the spread of the disease there appears to have stopped. Nations like Uganda who have grappled with Ebola and similar diseases have yet to be affected and are believed to have suitable measures in place to zero in and contain the virus. The Ebola virus itself has an incubation period of between 2-21 days. It is not believed to be infectious until symptoms begin to form, however, it can cause infections for up to seven weeks after a patient recovers. Because of its varying incubation period, those infected have between 2-21 days to travel before any form of “screening” currently being done at airports would detect a fever and therefore be able to identify, contain, and treat possible Ebola cases. This means that the infected could be traveling into foreign countries, well past ports of entry and screening points before their symptoms and ability to infect others begin to manifest themselves. Upon contracting Ebola, patients may begin to exhibit a fever and complain of abdominal pain but otherwise exhibit few other symptoms. It is only until later stages of the infection that Ebola may cause rashes and bleeding – and some patients never develop these symptoms at all. A complete list of symptoms is available at the CDC’s website. Because of Ebola’s incubation period, screening at airports is perhaps the least effective measure a state could put in place. Instead, and has been done throughout all of human history to contain contagious disease, nations with widespread infections should be quarantined – and travel bans placed on these nations by governments interested in preventing the spread of Ebola within their borders. Within an infected country, quarantines must be placed on areas where infections are present. 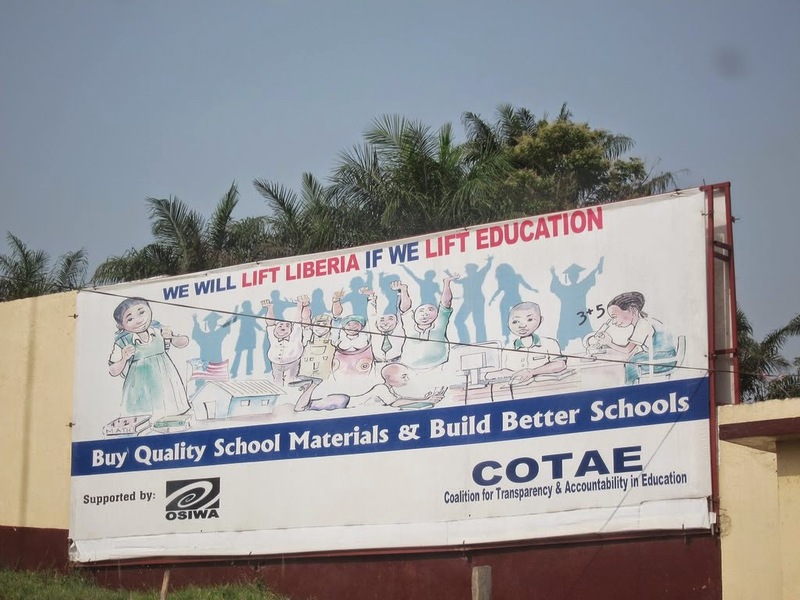 For years US and other Western NGOs have meddled in Liberia’s internal affairs, claiming to be building up education and the nation’s healthcare system. The US in particular has participated in military intervention in Liberia and has poured billions in cash in alleged “aid.” Ironic then that Liberia is one of the worst hit and least prepared nations suffering from Ebola. Above is a billboard sponsored by Open Society in Liberia’s capital of Monrovia. Despite the success quarantine has exhibited in the past, many Western policymakers have lobbied heavily against placing travel bans on infected countries or the notion of using quarantine procedures within infected countries. Open Society, a corporate-funded foundation that sponsors subversive political programs and so-called “civil society” within targeted countries, has been among the most vocal opponents of quarantining infected communities and countries. In essence, economic progress within the context of “globalization” and the continued work of Western NGOs like Open Society in building their own administrative networks and infrastructure to control all sociopolitical and economic aspects within nations like Guinea, Sierra Leone, and Liberia, takes precedence over actually stopping the spread of Ebola. While the notion of building better and more prepared healthcare infrastructure in such nations should be a priority, it is a long-term goal that will have no affect on stemming the spread of Ebola currently. Ironically, Open Society, as well as many of its counterparts including, USAID and Médecins Sans Frontières also known as Doctors Without Borders (MSF), have been operating in the worst infected countries for years allegedly building this infrastructure, with MSF in particular having extensive experience with Ebola outbreaks. And, all of these organizations have collectively and categorically failed to prevent this latest outbreak for a multitude of reasons. In many ways, their attempt to integrate nations into their greater “international order” has set the stage for this outbreak, not prepared them better to prevent it. Never has there been a time in human history where governments have had more access to “big-data” legally or illegally. As the NSA, Facebook, Google, and other data mining operations have proven, collecting and exploiting vast quantities of information regarding personal preferences and travel habits not only gives policymakers and corporations immense insight into the current state of any given population, but also grants them varying degrees of predictive insight. Never has there been a time where technology has empowered governments more to either prevent outbreaks or design the perfect outbreak. Considering this, one can also say that never has there been a time where such tools have empowered governments more to either prevent outbreaks or design the perfect outbreak. That Ebola has been around for decades, and previous outbreaks have been contained with far fewer tools at the world’s disposal, but that the toll of Ebola has only today reached such unprecedented proportions – even with Western NGOs located and operating within infected countries for decades on everything allegedly from education to human health, engenders immense suspicion. Coupled with this, Western governments and their NGOs have been embroiled in a long history of criminal activity including intentionally infecting populations with pathogens, conducting experiments involuntarily on human subjects, and other forms of what can be called “medical tyranny.” Together, the suspicion and distrust this causes led many Africans to turn against Western NGOs attempting to intervene during the early stages of this most recent outbreak. International health organizations and NGOs that are not trusted are also not effective. What should be an immense asset for nations around the world, becomes instead a liability. The corruption, inefficiency, conspiracy, greed, manipulation, and exploitation bred by the immense centralization of power within the “globalization” model is, above all else, the chief cause of today’s deadly Ebola outbreak. Through either conspiracy or incompetence, Ebola has been allowed to first exploit weak healthcare and infrastructure in West Africa, and then spread beyond the continent through slow, ineffective measures enacted by criminally negligent governments. Ultimately it doesn’t matter how this most recent outbreak began – it could have been prevented had nations like Guinea, Sierra Leone, and Liberia possessed functioning, competent governments not subjected to both proxy and direct Western military intervention and all of the sociopolitical instability such intervention has caused. Had these nations possessed education systems capable of teaching their populations basic knowledge including aspects of personal health and hygiene, and had they possessed a viable economy to support self-sufficient development that would have drained the swamps of ignorance, poverty, and disease from which Ebola has risen, it is likely this most recent outbreak would have already been long ago contained. If Ebola continues to spread, containing and treating patients – as well as quarantining areas the virus is spreading – are the only effective methods on hand to stop it. Regardless of how this latest Ebola outbreak began, governments have failed to respond appropriately – leaving it to to people to protect themselves. Stockpiling food and water and other essential supplies will be critical in quarantining ourselves if governments fail to do so. Intense monitoring and situational awareness by individuals and groups of organized individuals may help prepare communities to decide when extra precautions and self-imposed restrictions on movement may be required. Riding it out is of course an option of last resort, reserved when governments around the world have fully demonstrated their inability or unwillingness to stem the tide of this disease. Preventing Ebola outbreaks, and outbreaks of other infectious, deadly diseases, will not be done with vaccines meted out by big-pharmaceutical companies that have, like international health organizations, exhausted public trust. Curative therapies may or may not ever be developed. Instead, populations must strive to move away from dependence on heavily centralized, criminal, and/or incompetent systems of governance and crisis management and begin developing for themselves the tools necessary to respond to such crises. Everything from natural disasters like hurricanes to outbreaks like the current spread of Ebola, have showcased without doubt that centralized governments are neither interested nor capable of managing a crisis better than well educated, prepared, and organized local people. Likewise moving away from the centralized nature of today’s globalized world is an absolute necessity. Greater decentralization of all aspects of modern society, from the economy, to education, power, food, and water production, to devolving power away from centralized institutions and into the hands of local, pragmatic institutions will all play a role in making stronger, self-sufficient communities able to prepare themselves individually to monitor, identify, and protect against threats of all kinds. Instead of a virus like Ebola spreading through a singular sociopolitical economic body like the United States, or even the global “international order” it insists on implementing, it would be instead confronted by a vast network of self-sufficient communities representing a multitude of “bodies” to enter and infect – making its spread exponentially more difficult. 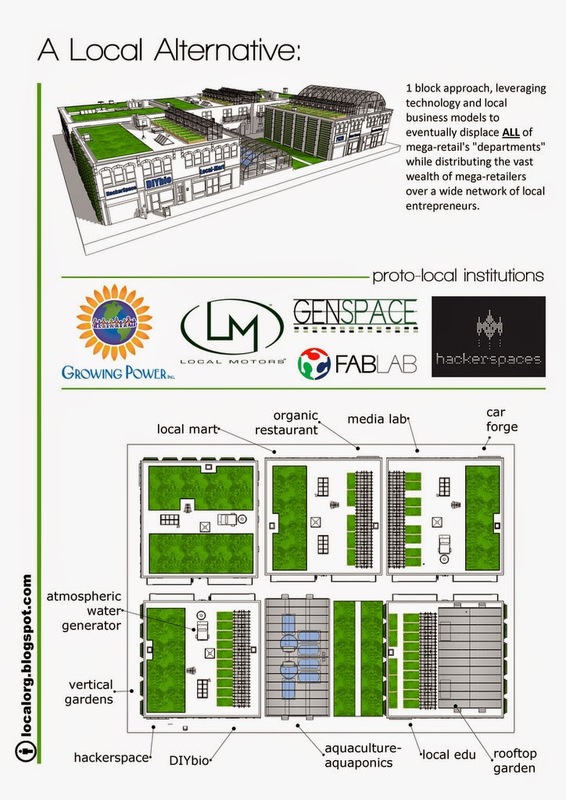 Image: A representation of a “full-set” local economy complete with food, water, and power production, a community lab that could augment and assist local healthcare professionals, and local manufacturing performed in microfactories and makerspaces/hackerspaces. The concept behind such localization is not isolation, but rather self-sufficiency. Physical, local self-sufficiency coupled with global awareness and collaboration hold the keys to solving some of modern civilization’s most pressing problems. In the case of the latest Ebola outbreak, such communities would easily be able to restrict their own movements, as well as monitor and treat anyone infected without outside support. Networks of such communities, like the cells in a body, provide a parallel, highly responsive, and flexible means to respond to any challenge, threat, or opportunity in ways centralized monopolies of wealth and power simply cannot. Such communities could easily restrict travel in and out of their boundaries, and it is likely that travel would not be as prolific as it is today, with the need of “commuting” in order to participate in centralized economic activity diminished. Self-employment and online collaboration already is an increasing prospect as technology opens the door to localization in ways never before imagined. The ability to work locally and continue being productive despite the outbreak and spread of disease, would be just one of many advantages of a decentralized, modern society. Localization and self-sufficient communities provide solutions to a multitude of problems ranging from the sociopolitical and environmental, to economic and in the case of global outbreaks, the mitigation, prevention, and isolation of disease. Localism, not globalism, creates the sort of modern civilization needed to empower and protect the interests of the majority against the greed, conspiracies, and incompetence of centralized special interests. As technology continues to empower individuals and communities to take on more responsibilities traditionally reserved for national and international institutions, organizations, governments, and private enterprise, matters of healthcare too will be localized. Imagine local healthcare practitioners leveraging modern manufacturing technology and open source collaboration to create clinics possessing advanced critical care units, diagnosis and other laboratory facilities, as well as the ability to create and distribute locally, pharmaceuticals and other curative or preventive therapies. It would be difficult to argue that networks of such communities would not stand an infinitely better chance of managing an outbreak than the current globalized paradigm. 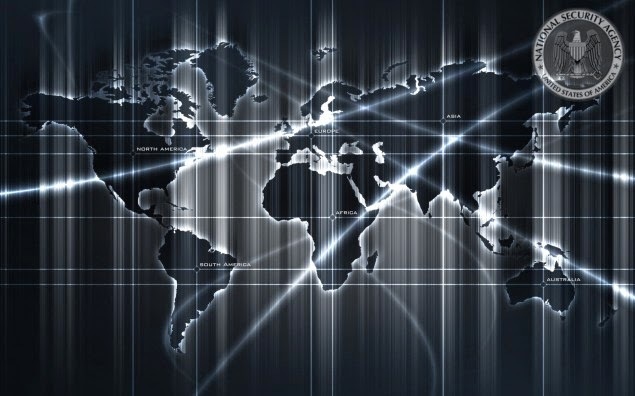 And unlike centralized globalization that uses centralized NGOs to impose their global order on other nations and communities, localization done through open source online collaboration could be done in parallel around the world exponentially faster than centralized efforts. This is a future only possible if people make the conscious decision to look locally and inward for solutions, rather than toward the top where demonstrable incompetence is now almost expected as an inevitability. That the outbreak of an otherwise containable disease has stirred such panic is not only an indictment against current leaders in government and global healthcare, but also against the heavily centralized, globalized system they preside over. If humanity is to not only survive, but thrive, each individual must be able to reach their full potential. This will never happen when centralized special interests view the population as an ocean of potential competitors who they feel are better off left helpless, dependent, ignorant, and if necessary, prone to otherwise avoidable catastrophe if it means protecting their own position of power. The freedom and empowerment we need to break free from this current system will not be granted to us, but rather by necessity must be created by us. If endless war and perpetual injustice have so far not spurred people into taking on this challenge, perhaps the outbreak of Ebola and its potential spread to the four corners of the globe will. The age of globalization will end one way or another. It is our choice whether it ends because it destroys us all, or because it is replaced by something far superior, truly progressive, and genuinely representative. Originally published at Land Destroyer. Tony Cartalucci is a geopolitical researcher and writer based in Bangkok, Thailand. His work aims at covering world events from a Southeast Asian perspective as well as promoting self-sufficiency as one of the keys to true freedom. His website(s): Land Destroyer Report. Posted in Africa, CALLOUS CONTEMPT, CORPORADOES, EBOLA, GLOBALIZATION/PRIVATIZATION, GUEST AUTHOR, LIES AND PROPAGANDA.